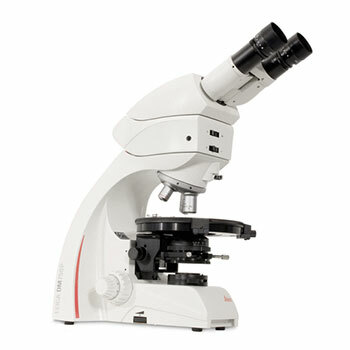 The Leica DM750 P is the ideal polarizing microscope for teaching material and earth science in college and university courses for example on crystallography and petrography. Featuring student-friendly features such as EZStore™ with integrated handle and cord wrap provide easy carrying and easy lifting. A storage compartment for compensators and objective centering tools allow students to conveniently store tools, which reduces loss and replacement costs.